I love to travel. I mean I really, really love to travel. But while I was living on the West Coast, I often didn't have the funds to travel the way I wanted. So for that reason and many others, I decided to move back to the East Coast in May of 2017. In my two weeks on the road, I marked many places off my travel bucket list like Hoover Dam, the Grand Canyon, Oklahoma City, Dallas and Southfork Ranch. My 10-year-old self was thrilled by that last one! I lived in New Orleans for two years and have been itching to make my way back ever since. I think 2018 is the year I do it. This is the perfect time to visit New Orleans as the city is celebrating its 300th birthday all year long. In preparation, the city is rolling out the carpet for visitors all year with city renovations and major events. A trip to New Orleans should be on everyone's Southern travel list. Between Audubon Park's centuries-old oak trees to the people watching in Jackson Square, it's a vacation to remember. Best time to visit: Anytime from September to June. The North Carolina coast is one of my favorite spots on Earth. I've lived in Wilmington before (and even went to school at UNCW for a few years before transferring). I vacationed in Emerald Isle and Long Beach as a kid. But I've never driven the Scenic Route from one end of the Outer Banks to another. A 200-mile string of barrier islands, the Outer Banks is a quintessential coastal experience. Everything from lighthouses and miles of beachfront to quaint English-style towns and fishing villages are ready to explore. Best time to visit: Try to schedule your trip between late May and August to catch a showing of The Lost Colony, an outdoor play performed each summer on Roanoke Island. The crazy thing is that in the four years that I lived in Nashville, I never made my way to either Kentucky or Memphis! I traveled to a few other places in those years, but never to the two closest travel destinations. When I drove from California to North Carolina in May 2017, my rough plan was to go through Memphis, then drive around Kentucky for a few days. By the time that leg of the trip rolled around I had been in the car with my cat for the entire two weeks, with my mom joining me for the last week. I was tired! So I cut the trip a little shorter and instead stopped in Chattanooga and Knoxville. Best time to visit: Fall and spring are ideal. If you want the essential Kentucky experience and don't mind crowds, visit during the Kentucky Derby in May. Memphis – Home of the Blues, Memphis is also home to Elvis Presley's Graceland, while the city displays a charmingly rugged character. Best time to visit: Spring or Fall to avoid sultry summers or frigid winters. I know I want to visit Florida in 2018, but I still can't decide which city it'll be. I've been to Miami, Fort Lauderdale, Orlando and Clearwater, and I even lived in Jacksonville when I was a toddler (and visited there as a teenager). I've always wanted to drive down A1A all the way to Key West, see the Hemingway cats and go snorkeling off the coast. Some recent research has made me put Sarasota and St. Augustine on the short list as well. Key West is synonymous with a laid-back, beachy lifestyle, while Sarasota is a modern city with a vibrant arts scene on Florida's Gulf Coast. St. Augustine, the oldest European settlement in the United States, has tons of old-world charm. Best time to visit: Florida's subtropical climate means that it never gets too cold to visit. You might want to check the forecast during the latter part of hurricane season (May through November). Figuring out which places to visit was a fun exercise, and it felt good to see my trip list once I planned them out. Want to figure out which trips to take in 2018? 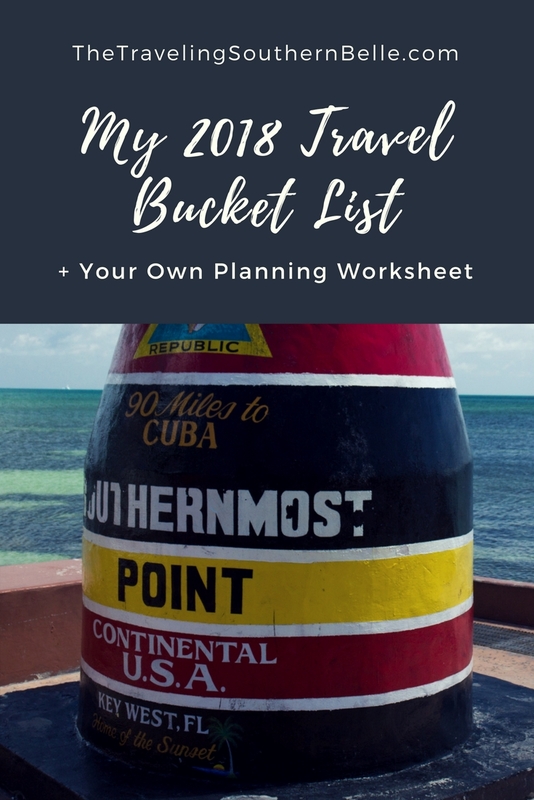 Download my Bucket List Trip Worksheet here for free. No signing up for my email list, no strings, just download the PDF. 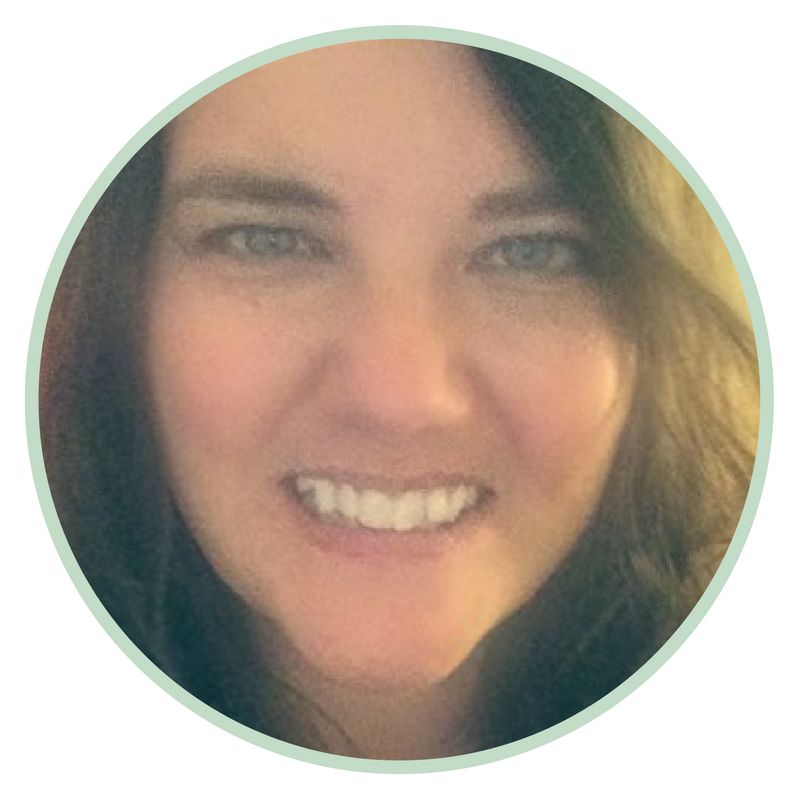 Although, I'd love to have you join my email list! Just click on the form to the right, or the link down in the footer.